2 Cups Buttermilk Make your own: 2T of white vinegar and fill up to 2 cup measuring line with 2% room temp milk. Stir and wait 10 mins before use. Preheat Oven to 350 degrees. Prepare a pot of strong coffee, enough to make 2 cups plus one for yourself! 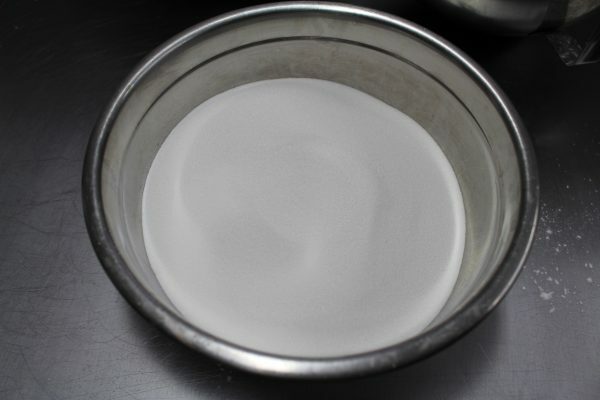 Prepare dry mixer Bowl and whisk attachment or large dry bowl and hand held mixer. 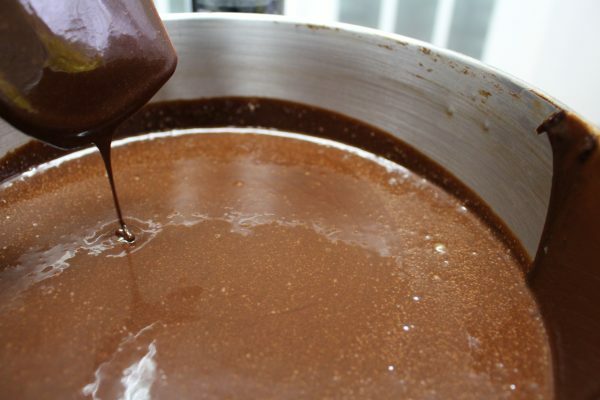 Combine Flour, sugar, b.soda, b.powder, salt, and cocoa powder until combined. 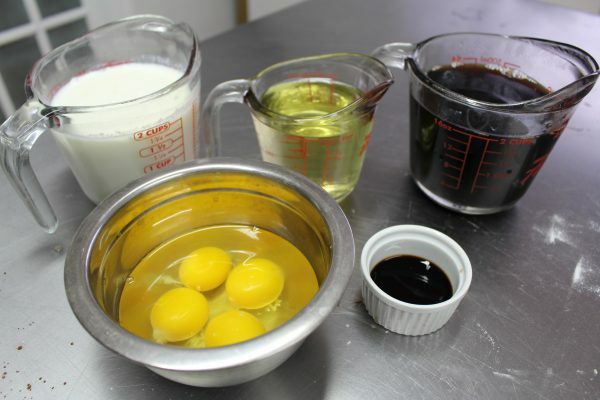 In separate bowl whisk together buttermilk, Canola oil, eggs and vanilla. On low speed add to dry mixture- again with whisk attachment or using hand held mixture. Then add hot coffee slowly just until combined. 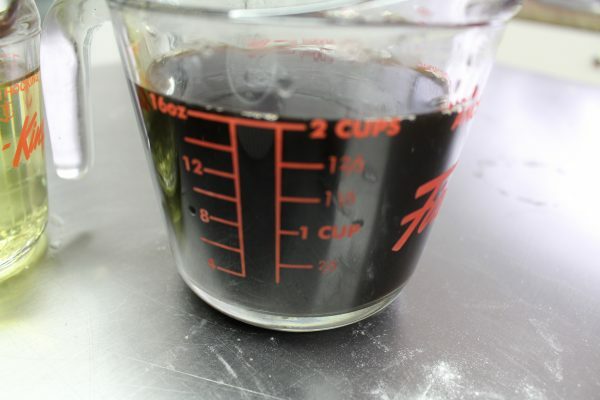 Increase speed to medium and mix for 20-30 seconds until smooth. 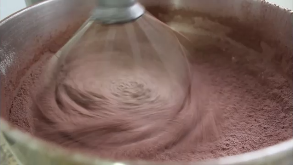 Once the batter is fully mixed, stop the mixer. You do not want to over beat the cake batter. 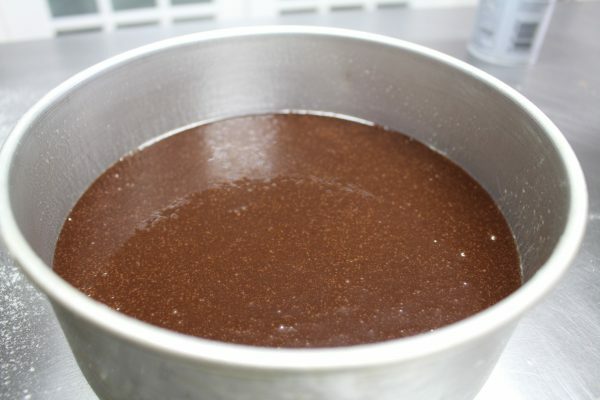 The chocolate batter consistency will be similar to a crepe batter. Trust the batter- do not add more flour! 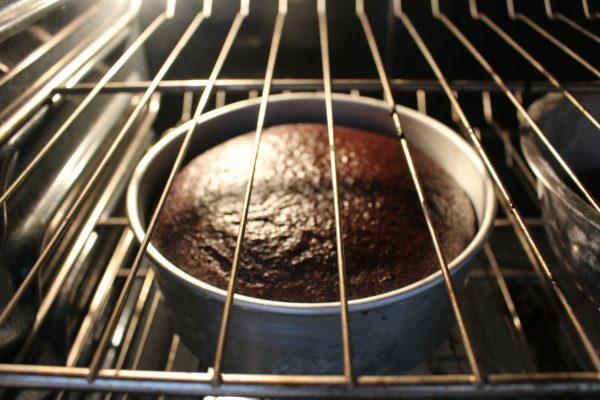 Bake in preheated oven for 30-35 mins or until cake tester stick comes out clean. Cool your cakes for 10 mins, run along side of pan with spatula to ensure safe clean removal of cakes, then invert pan and allow cakes to completely cool. I personally like to bake my cakes ahead and then wrap well and freeze overnight or until it is time to frost. 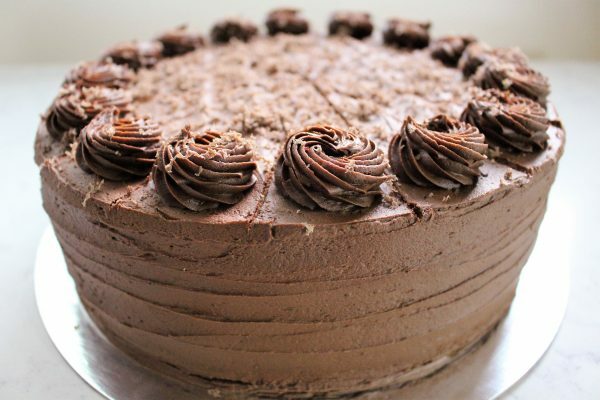 Frosting as you wish:) This cake is great with ganache, whipped ganache, fudge icing, American style buttercream, cream cheese or Swiss meringue buttercream. 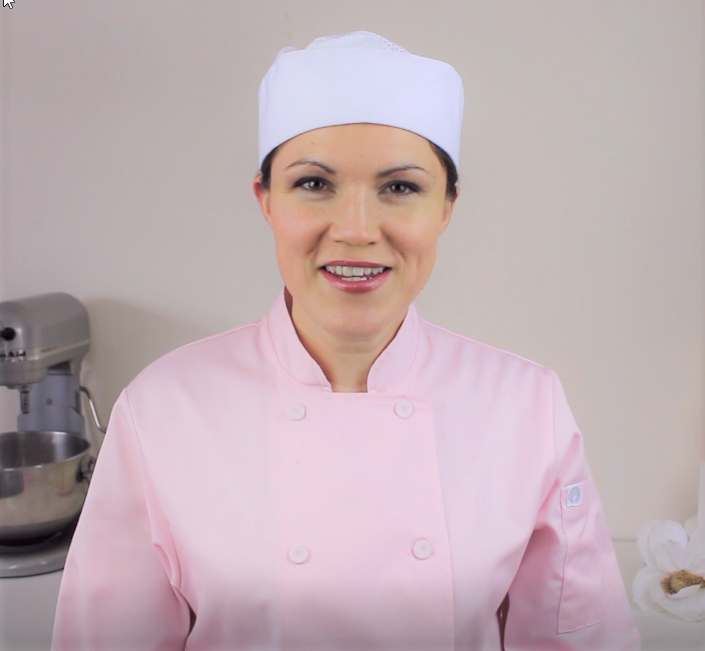 This cake is perfect to hold shape when using fondant or almond paste as coverage. I used American style buttercream on my cake and piped ganache rosettes in the photo. A very proud mother of 3 and married to a very supportive Husband. My two without a doubt passions in life are to bake and help seniors. 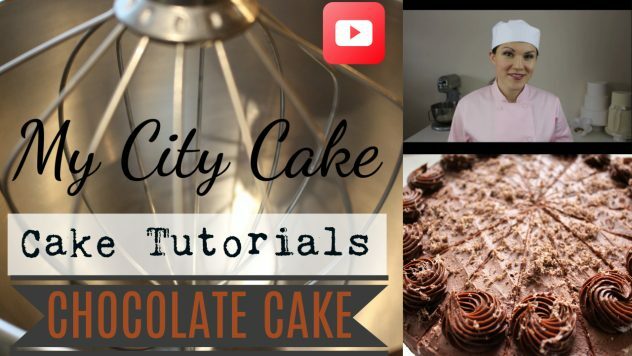 By day I am a private caregiver and in my off time I love to bake, create tutorial videos, and new to this space finding local spots here in Montreal serving up amazing desserts and posting photos with reviews. In 2001 I graduated from the Pastry Arts Program at ‘The Culinary Institute of Canada’, under Master Pastry Chef Richard Braunauer. I will forever enjoy all aspects of the Baking/Pastry industry from small town bakeries, to how the large dessert suppliers operate on mass scale, to the small to large upscale pastry shops in this city. Come and join me on the adventure! Copyright 2018 - MyCityCake. All Rights Reserved.